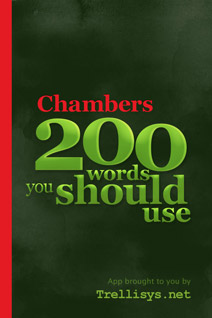 Chambers 200 words works with any iPhone touch running iOS version 4.0 and above software or later. Finally an app that can actually make you sound smart and communicate better! 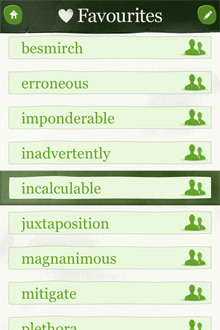 There are several apps that purport to help you expand your vocabulary, but which contain many words that you would be hard-pushed to include in everyday usagee. The premise of this app is different. All of the words included are not only impressive but have real practical usefulness. 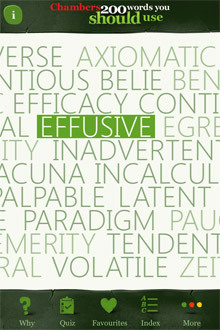 You will probably already have some familiarity with most of the words in this collection. What you might not do, however, is think to use them on occasions when they would be apposite. By using this app and seeing how they can be used effectively, you should become more familiar with their meanings and nuances, and so become confident enough to use them effectively. If you do this, the words will serve you well, both in your formal writing and in your conversation. 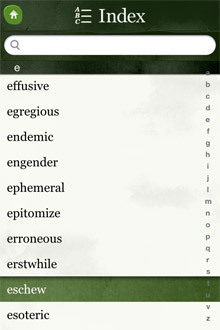 A final word of warning, however: don't try to use too many of these words all at once. You will find that these words have the greatest impact when they hog the limelight in an otherwise simple sentence. 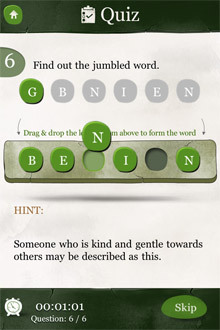 There are several ways to study the words in this app. If you like to simply browse words that interest you, you can click on a word from the main screen. If this is a word you'd like to study or use in the future, you can mark it as a favourite. If you prefer to go through the words more systematically, you can choose a word from the index and then simply flick from one word to the next. You can also search words by using the alphabetical scroll bar at the bottom of the screen. Once you've gone through the words you feel you need to learn, try taking the quiz. 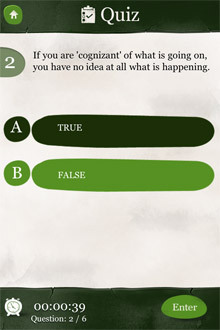 The quiz challenges you with a completely random set of questions each time you take it, so you should be able to test yourself several times. 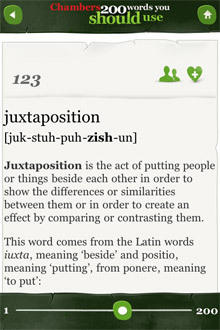 Keep going back to your favourites to review the meaning and proper usage of each word. Once you feel confident, try to use your new words at least once each day. You will find that eventually they will become a natural part to your repertoire. 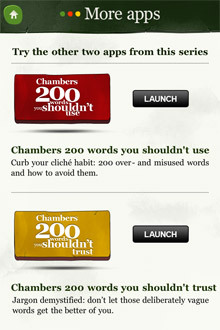 © 2011 Chambers Harrap and Trellisys.net. All Rights Reserved.